Professional Hi-Definition wedding videography services by..
"We always keep in mind that this is your once in a lifetime special day, not just another job for us." Perfect Video Day productions specialising in high quality wedding video production, based in Norwich Norfolk UK. Our professional wedding videography services can cover your wedding day in full, so your day does not become just a memory. You can relive your special day again and again. It's going to be your perfect wedding day and our videographers provide a discreet approach so not to be intrusive. Producing wedding videos that are natural and spontaneous, with our own elegant and creative style with a key focus to client satisfaction. Perfect Video Day Productions has experience of filming many types of weddings, known for our outstanding customer service and caring about our clients. You can trust us to take every care capturing this special moment for you. Natural and spontaneous, unitrusive wedding videos by qualified videographers. 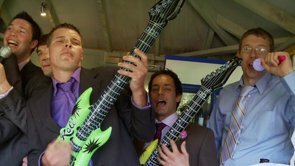 The latest trend in wedding videos is the marryoke, where you and your guests singalong to a song of your choosing. East Anglia’s Premier Wedding Video Service. All of our wedding videos are produced to Hi-Def broadcast television standards. Passion and pride for our wedding videography service is reflected in everything we do for you. From the first initial meeting to your finished unique wedding Hi-Definition DVD's & Blu-Ray.